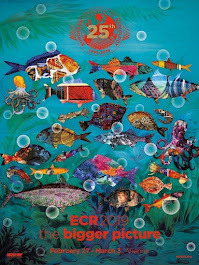 From October 25-27, 2012, the Annual Scientific Meeting of the European Society of Cardiac Imaging will be held in Barcelona, Spain. The congress attendees may not only enjoy a high-quality scientific programme, but also the wonderful city of Barcelona. Dr. Teresa de Caralt, congress president, together with the local organising committee are looking forward to welcoming all cardiac radiology interested physicians, techologists and scientists to this meeting. Save the date, early registration starts late March 2012! On behalf of the European Society of Cardiac Radiology, we are pleased to announce that the ESCR membership is now available for only EURO 20.00. Please note that this reduced rate requires a membership within a national cardiac society or cardiac working group. In order to renew your ESCR membership, please enter your MyUserArea at the ESCR website by using your last name in combination with your Personal ID. We are also looking forward to welcoming new members! To become a member of ESCR is easy, kindly visit our website www.escr.org and start your membership application today. Every membership includes online access to CAIM - International Journal of Cardiovascular Imaging. The printed edition can be ordered with your membership application/renewal for the amount of EURO 60.00 per year. The publisher of the CAIM Journal, Springer, is offering a service sending out Table of Contents (ToC) alerts upon publication of every issue. With this service, you will receive information about the topics and content of every new issue to stay informed the minute the journal is available. In order to sign up to this service, please visit the website of the journal and enter your email address on the left hand side under the section "Alerts for this Journal".